Everything you need to know is in the picture. Dave England is perched in a tree dressed as a bird. "Bird" then drops poo from tree on unsuspecting pedestrians. 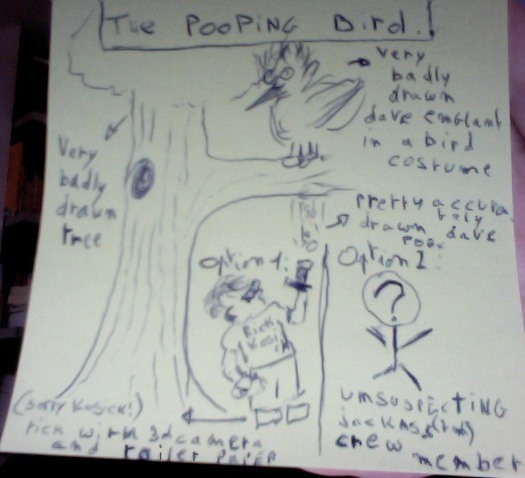 there allready was something like that on cKy, when ryan dunn was dressed up like a bird, pooing on rake john!! 1: I haven't seen it and this idea is so brilliant it has already been done.